Belas Rift is a richly imaginative and unique fantasy story of friendship and kindness winning out over greed and selfishness. 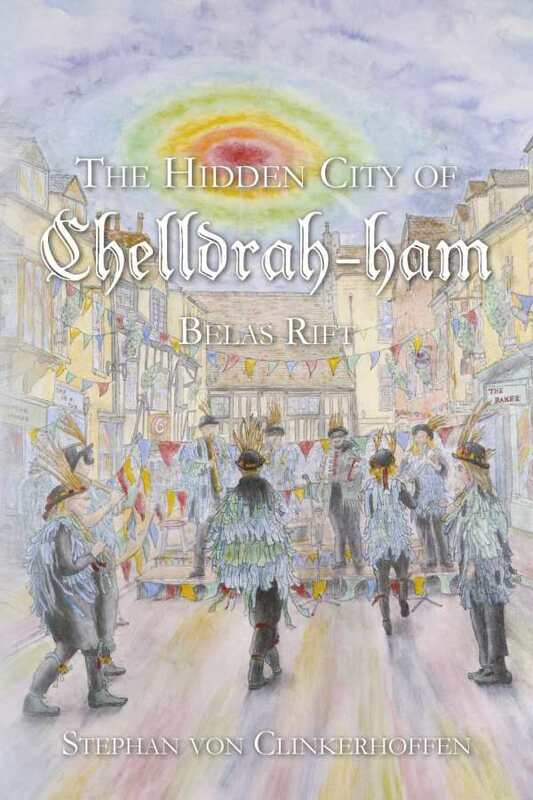 Stephan von Clinkerhoffen’s The Hidden City of Chelldrah-ham: Belas Rift is an enjoyable fantasy adventure that grapples with the tensions between technological advancement and respect for natural elements. The bonds of friendship, kindness, and respect for others create a synergy between the fantasy world of Chelldrah-ham and modern-day England. Stig and Meg are creatures called “Manna” from a parallel universe, evading the malevolent Anet, who plans to wipe out life in their motherland. Humans are alien to them, until they are pursued through Belas Rift and find themselves in England, where the British police force also trails them. Their adventure becomes a thoroughly entertaining cat-and-mouse scenario. Stig and Meg encounter a variety of human technology along the way, including televisions, or “ohnomorerepeats,” helicopters (“smelly copters”), and the Internet (“Tinternet”). Such interpretations result in moments of humor, and come alongside insightful observations (batteries, they say, provide “a soulless life that lacks wisdom and is only short lived”). These observations and descriptions are endearing but also help readers see the human world from an alien perspective. Each character is developed by exploration of their specific talents and abilities that, while not always integral to the plot, give the story more fullness. Meg, who is from a world of flowers, is horrified to discover that humans kill weeds, which she calls “flower[s] growing in the wrong place.” In a lovely encounter with a young human child about to pick a rainbow poppy, Meg urges the child to feel the emotions from the flower and to leave it to live its life. While each challenge that Stig and Meg face is met with imaginative solutions, the book’s cycle of hiding and escaping becomes redundant, and Anet herself is only marginally referenced until the final chapters. Moments of action and reflection follow a natural arc, although action scenes have a quicker and more chaotic pace. Some sequences are so urgent that they seem to leave out important details, making them hard to follow. Belas Rift is the third book in its series. While there is an assumed knowledge of people, events, and vocabulary from the first two books, Belas Rift can stand ably alone. Limited illustrations appear at well-chosen moments and add a refreshing connection to the story. Belas Rift is a richly imaginative and unique fantasy story of friendship and kindness winning out over greed and selfishness. This book exhibits a level of mechanical understanding and a respect for natural purity that is sure to ignite deeper conversation.